You already have your own forked copy of the NumPy repository, by following Making your own copy (fork) of NumPy, Set up your fork, you have configured git by following Git configuration, and have linked the upstream repository as explained in Linking your repository to the upstream repo. What is described below is a recommended workflow with Git. Start a new feature branch for each set of edits that you do. See below. Avoid putting new commits in your master branch. Avoid merging other branches into your feature branch while you are working. You can optionally rebase if really needed, see below. Contributors: push your feature branch to your own Github repo, and ask for code review or make a pull request. This way of working helps to keep work well organized and the history as clear as possible. Do not use git pull — this avoids common mistakes if you are new to Git. Instead, always do git fetch followed by git rebase, git merge --ff-only or git merge --no-ff, depending on what you intend. 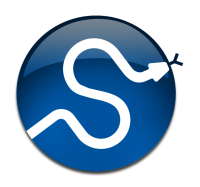 See discussions on linux git workflow, and ipython git workflow. From now on git will know that my-new-feature is related to the my-new-feature branch in your own github repo. To commit all modified files into the local copy of your repo,, do git commit -am 'A commit message'. Note the -am options to commit. The m flag just signals that you’re going to type a message on the command line. The a flag - you can just take on faith - or see why the -a flag? - and the helpful use-case description in the tangled working copy problem. The git commit manual page might also be useful. This updates your feature branch with changes from the upstream NumPy github repo. If you do not absolutely need to do this, try to avoid doing it, except perhaps when you are finished. When you feel your work is finished, you can ask for code review, or directly file a pull request. Go to your repo URL - e.g. http://github.com/your-user-name/numpy. If asked, select the base and comparison branch names you want to compare. Usually these will be master and my-new-feature (where that is your feature branch name). At this point you should get a nice summary of the changes. Copy the URL for this, and post it to the NumPy mailing list, asking for review. The URL will look something like: http://github.com/your-user-name/numpy/compare/master...my-new-feature. There’s an example at http://github.com/matthew-brett/nipy/compare/master...find-install-data See: http://github.com/blog/612-introducing-github-compare-view for more detail. The generated comparison, is between your feature branch my-new-feature, and the place in master from which you branched my-new-feature. In other words, you can keep updating master without interfering with the output from the comparison. More detail? Note the three dots in the URL above (master...my-new-feature) and see Two and three dots in difference specs. Go to the URL of your forked repo, say http://github.com/your-user-name/numpy.git. Enter a message; we suggest you select only NumPy as the recipient. The message will go to the NumPy core developers. Please feel free to add others from the list as you like. First, merge or rebase on the target branch. Avoid using git pull here. There’s an embarassing typo in a commit you made? Or perhaps the you made several false starts you would like the posterity not to see. First fork NumPy into your account, as from Making your own copy (fork) of NumPy.